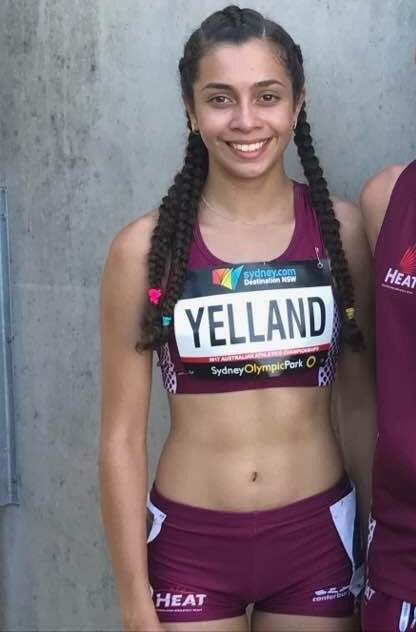 Chantelle recently competed in the Qld track and field champs in Brisbane. She came 3rd in the 1500m and 1st in the 800m. She has made the state team for the 800m qualifying the fastest girl in the event over all ages. She went for the 2 events and medalled in both. First Place in 800m Qld State Titles this year. Will be competing in December in Adelaide in the Nationals. Won the Charlie Woodward Bursary for Sports Excellence. Queensland All Schools Track & Field Championships. 2016- 2nd 800m National All Schools Track & field. The Bear Foreman Foundation would like to thank the Camp Barrabadeen for their support.